Two acclaimed novels, many short stories – and a just published non-fiction book – later, the WA author, teacher and editor, writes when she can, usually inspired by things she sees or hears about and can’t forget. A strange murder that happened in 1882 turned into her first novel, The Sinkings, fishermen’s superstitions of north-east Scotland became Elemental, and the impressionist painter Kathleen O’Connor throwing her paintings into the sea, became her latest work of non-fiction, Kathleen O’Connor of Paris. Curtin’s books involve extensive research, foraging through archives, photographs, letters, travelling, thinking and dreaming. She was in was in her 20s when she first heard of Kathleen O’Connor, who appeared in a book she was editing. The artist’s creative, fearless and fiercely independent personality and her brilliant paintings and drawings entranced her. 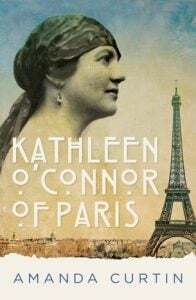 But it was only several years ago that Curtin decided to write again about O’Connor, resulting in her beautiful new book, Kathleen O’Connor of Paris. It’s not hard to see why the artist made such an enduring impression on Curtin, for her story is fabulous. Born in 1876, O’Connor spent her childhood on New Zealand’s South Island, emigrating with her family to Western Australia in 1891. But O’Connor ‘never really liked the new country much,’ and as Curtin notes, this isn’t surprising. Australia was dusty and swelteringly hot, nothing like the lush green land O’Connor had left behind, and for a creative young girl deeply interested in painting and drawing, Western Australia offered little in the way of an art scene. Buoyed by the support of her much-loved father who was a renowned engineer, O’Connor continued to follow her passion. Her diaries paint a portrait of a charming, witty, strong-willed girl, far more interested in art than in courtship or marriage. By the mid 1890s Western Australia’s art scene had begun to grow, and O’Connor developed her talent through classes and began to exhibit her works. Then, in 1902, tragedy struck when O’Connor’s father shot himself. The death hardened O’Connor’s feelings towards her adopted home, and by 1906 she made up her mind to leave conservative Perth and journey to bohemian Paris to pursue her love of painting. For over forty years, O’Connor lived and worked abroad. Curtin’s book details O’Connor’s move, the pages almost humming with the excitement she felt at being swept up into the bustle and glitter of Parisian life. She follows O’Connor as she makes famous friends – and loses some – and highlights O’Connor’s struggles for recognition in a city packed with artists vying for gallery representation. There are moments of triumph as well, with Curtin brilliantly recreating the scenes of O’Connor’s Paris exhibitions. The artist’s stays in bleak London during WWI and WWII are also vividly described, as is her reluctant return to Australia in the mid 1950s, where she would live the rest of her life. Kathleen O’Connor of Paris is a remarkable book. Countless hours of archive digging through obscure newspaper clippings, art samples and letters have resulted in a vibrant yet nuanced portrait of O’Connor that brings her art, passions and adventures to life. The author’s interest and affection for the artist shines through in her writing. And while the artist remains her focus, as Curtin retraces O’Connor’s steps through the streets of Fremantle, Perth and Paris, she explores broader ideas about art and life, raising compelling questions about artistic fulfillment, legacy and the very definition of art itself. Although recognised as one of the most talented female Australian artists of the 20th Century, Kathleen O’Connor is not as widely known as she should be. Thanks to Curtin, O’Connor’s wonderful story and art is finally getting the attention it deserves. Review, Southerly, Island, Indigo, Westerly, Review of Australian Fiction and several anthologies. She has also worked as a book editor for many years. 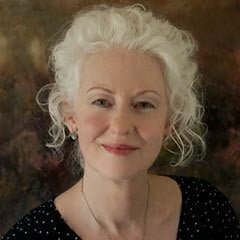 Amanda lives in Perth with her husband and an opinionated Siamese cat, and works in a backyard studio among magpies, doves and old trees. Reads like my sort of book. It’s on my to read list.